In most cases, ingrown toenails develop because you cut your toenails too short. 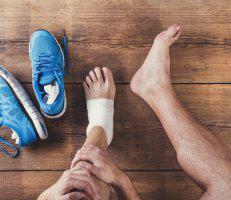 Because an ingrown toenail can become dangerously infected and lead to serious pain, Mariola Rivera, DPM, of Aesthetic Podiatry & Sports Medicine Center offers fast and effective treatment in White Plains, New York. Get relief from your ingrown toenail by booking an exam online or by calling the office to schedule. Why did my toenail become ingrown? Your toenails are supposed to be protective barriers to safeguard your fragile toe bones. But improper pedicure techniques can quickly cause a normal toenail to become a serious health concern. Usually, ingrown toenails occur when you either cut your toenails too short, tear your toenails, or round out your toenail edges (they’re supposed to be cut straight across). Typically, it’s the nail on your big toe that becomes ingrown, although in reality, any of your toenails can become ingrown. How do I know if my toenail is ingrown? The longer you go without proper medical treatment, the higher your chances of suffering from a serious infection. 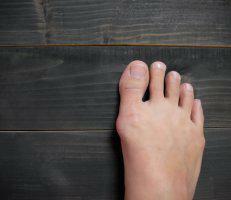 An ingrown toenail infection can even spread into underlying bone tissue, which is a serious issue. If any of these symptoms sound familiar, schedule an evaluation at Aesthetic Podiatry & Sports Medicine Center right away. You should never try to treat an ingrown toenail on your own since you risk making it worse. Plus, you’re not properly treating any infection that may be present. The best way to treat an ingrown toenail is to have a podiatrist, like Dr. Rivera, evaluate your toe, find out what caused your toenail to become ingrown in the first place, and administer treatment. If no infection is present and your ingrown toenail seems minor — just extremely painful — Dr. Rivera can place a splint under the ingrown part of your toenail in an effort to encourage it to grow away from your skin. For more severe ingrown toenails or ingrown toenails that become infected, Dr. Rivera could recommend surgery. This simple in-office procedure is performed while your toe is entirely numbed, so you won’t have to worry about discomfort. Dr. Rivera carefully trims away the ingrown part of your toenail and treats any infected skin tissue directly. If you have an ingrown toenail, you can get fast and effective relief at Aesthetic Podiatry & Sports Medicine Center. Book your appointment online, or call the clinic directly.